PDF, data through March 2019. Data source: NOAA Climate Prediction Center , last modified: 2019/04/03. 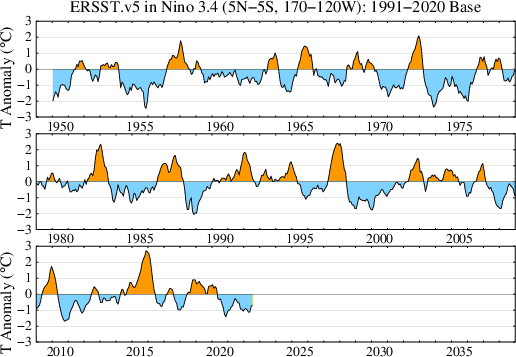 PDF, data through February 2019, data source: NOAA Climate Prediction Center, last modified: 2019/04/01. Data through December 2018, last modified: 2019/01/28. 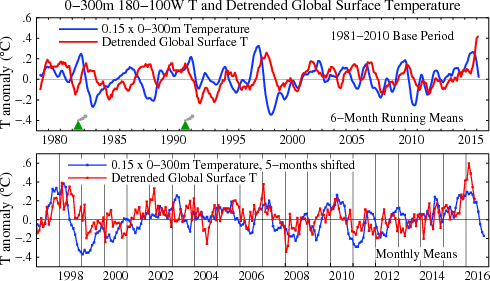 Surface temperature data (now with GHCN v3.3.0 and ERSST v4) and upper 300 m Nino region ocean data are through May 2016, last modified: 2016/06/18. 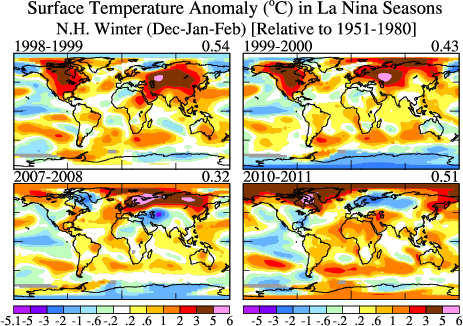 See also NOAA weekly ENSO 30+ presentation pages.